THIS is Costa Rica Wildlife! 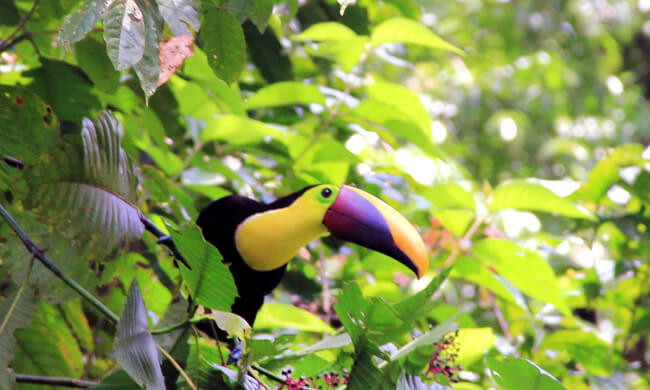 Costa Rica is one of the most bio-diverse countries in the world! 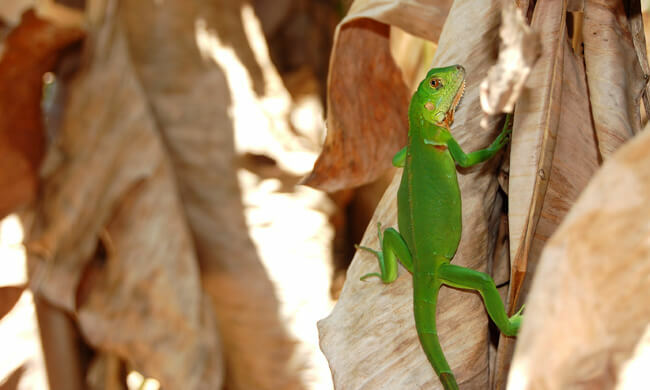 Thanks to its tropical climate, its geographical location and the protection of around 25% of its natural habitat means this small country is home to 5% of existing species worldwide. 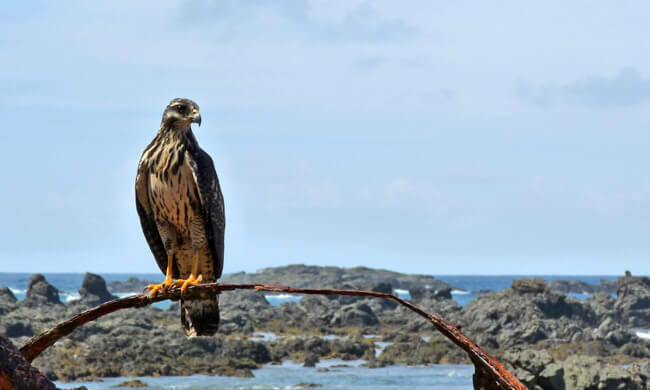 So this selection is but a handful of exciting wildlife that you can expect to see in Costa Rica! 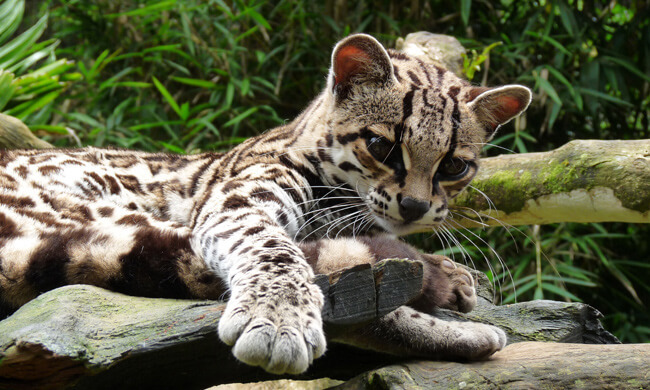 This cute little Costa Rican ocelot can be spotted in the Osa Península but it is quite a challenge. 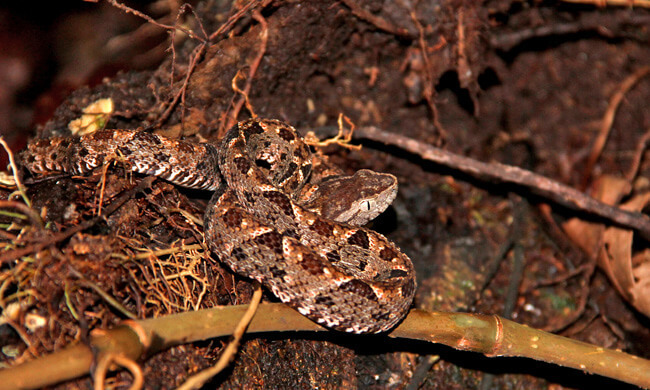 The Fer-de-Lance is can be spotted in the tropical regions & around rivers just don’t get too close. 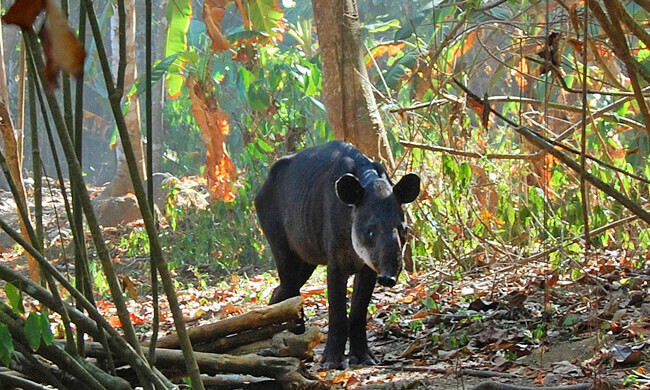 A baby Tapir inside the rainforest of the Corcovado National Park. A real gem in the wild. This firey-billed Toucan is keeping a close eye on proceedings down on the Osa Peninsula. An amazing close-up of a flying tree frog. 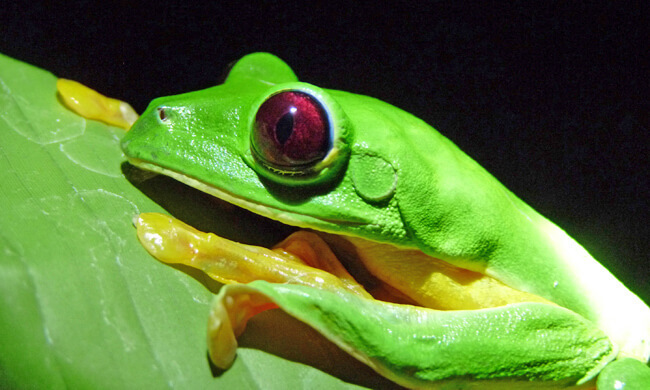 When trying to spot these tree frogs make sure to look up! 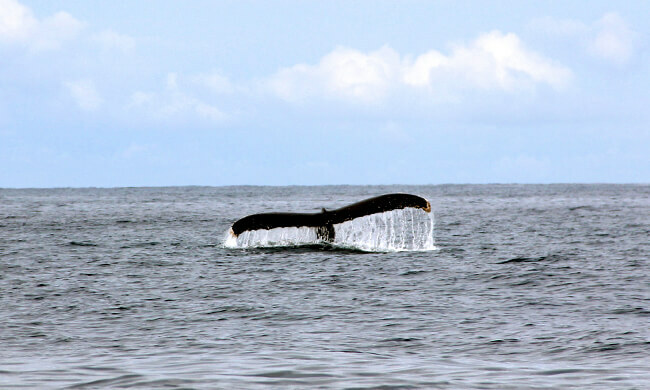 A hump-back whale taking a dive on the southern Pacific coast. 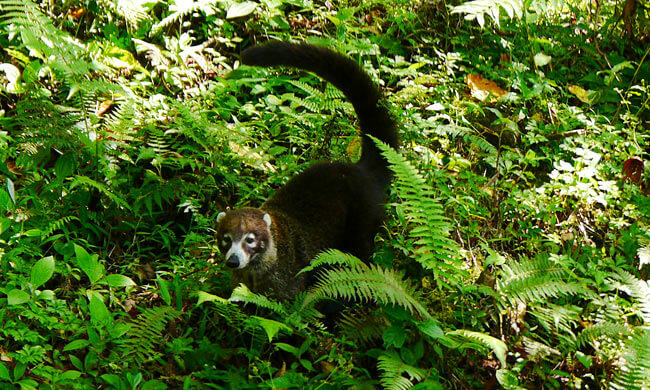 A naughty coati, or Pizote in the local tongue, is always looking for something to eat! 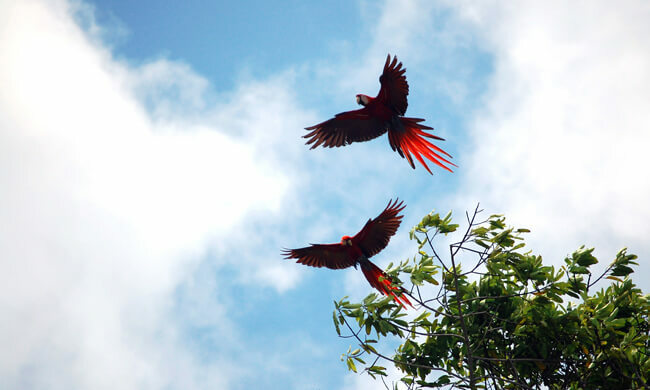 A pair of scarlet macaws take flight. These beauties can be spotted all the down the Central Pacific. 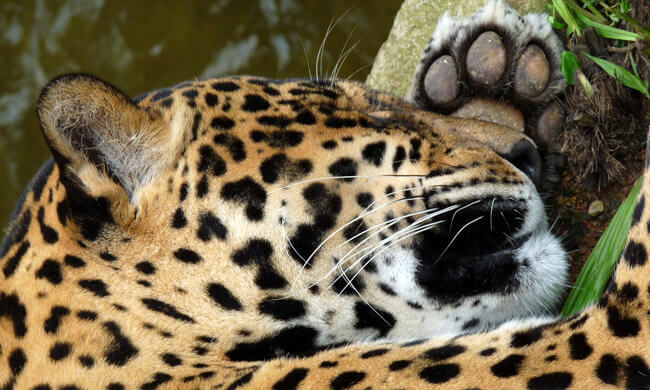 A sleepy jaguar. Very rare to be seen in the wild in Costa Rica, but can be seen in Corcovado. A watchful lizard. These guys can be found all over Costa Rica sunning themselves. 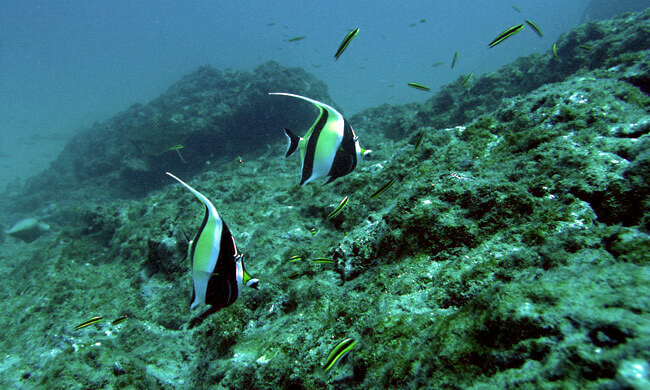 Angel Fish can be enjoyed on both coasts when diving & snorkeling in Costa Rica. 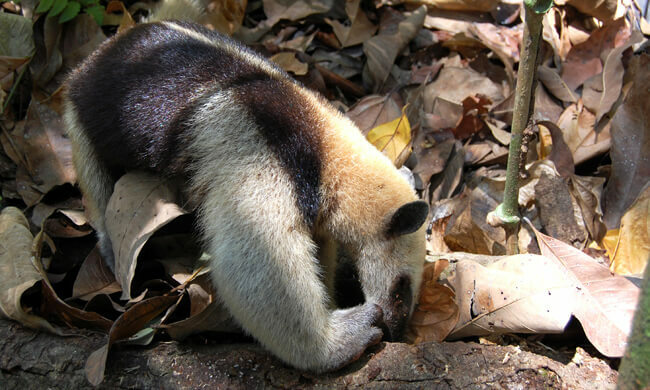 An anteater looking for a tasty treat. This guy was spotted in the South Pacific. 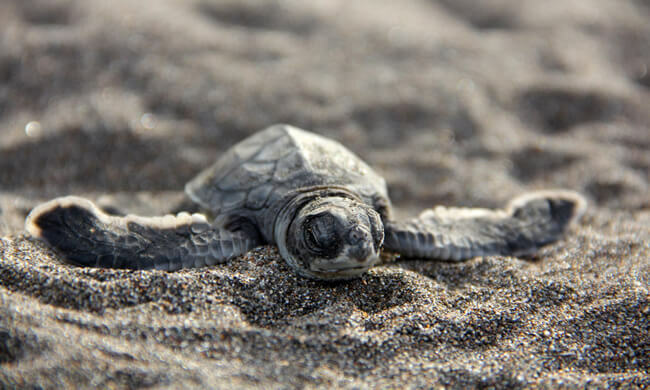 A baby turtle making his way to the sea in the Tortuguero National Park. 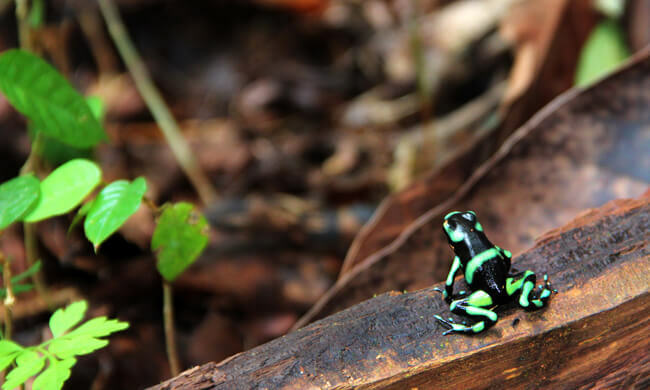 A Black and Green dart frog checking out his surroundings in the Corcovado National Park. 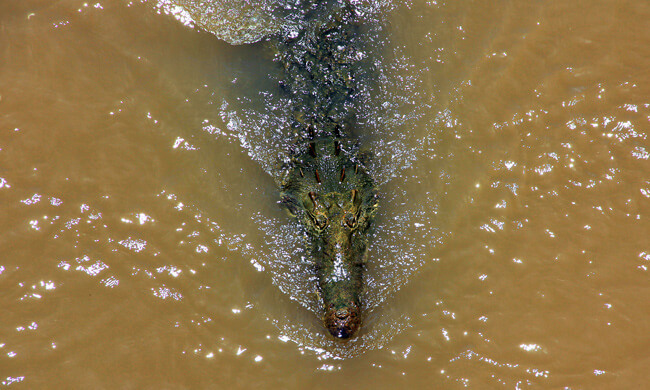 An amazing Costa Rica croc makes his way slowly up the Tarcoles river, they are easy to spot here! 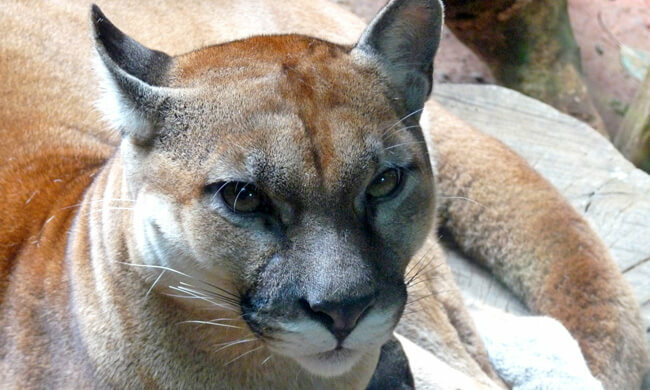 Costa Rica pumas are very rare and hard to spot in the wild. 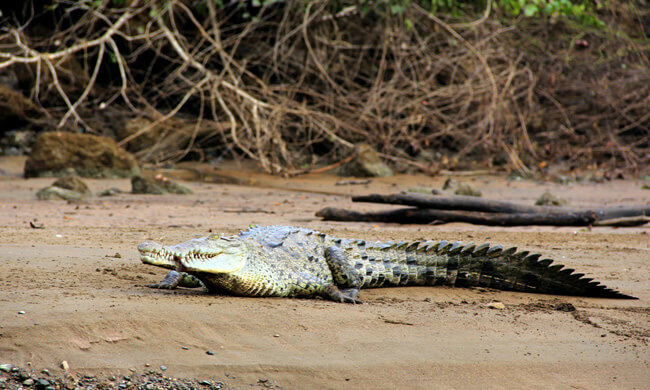 A huge croc enjoying sunning itself across from the Aguila de Osa hotel at Drake Bay. 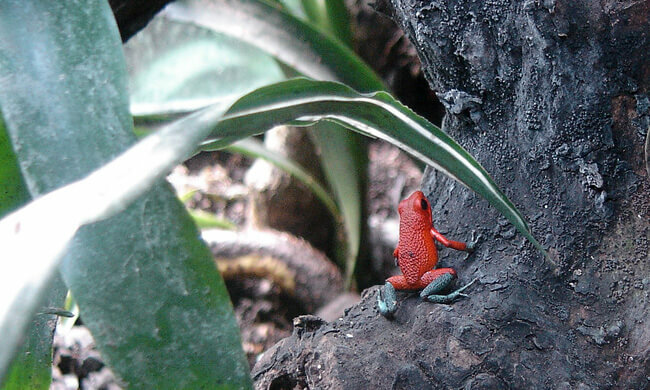 This little Granular dart frog can be found on the Caribbean coast. They hardly make a sound. 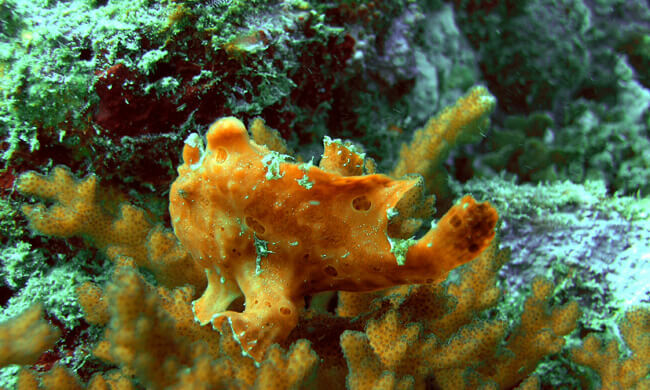 The Frog Fish’s camouflage is quite something, even when trying to spot it in a picture! 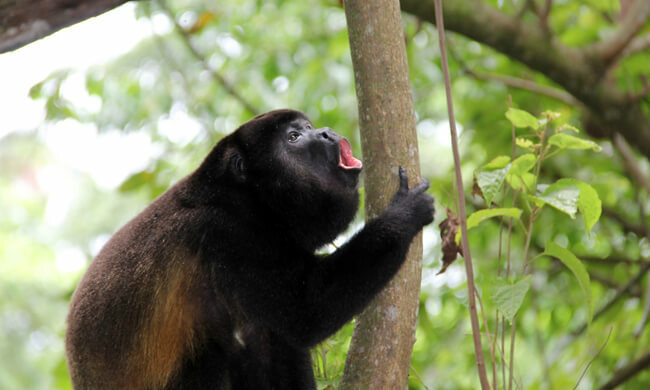 Howler monkeys are found in many areas across Costa Rica and make up one of four species in CR. 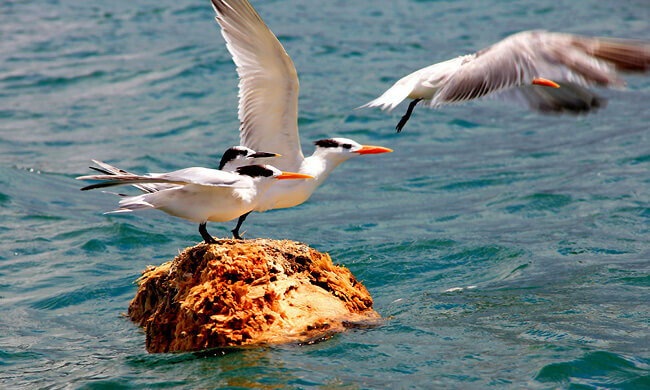 Pacific sea birds taking flight of the South Pacific Coast. This Road side hawk is constantly on the lookout and found, unsurprisingly near the roads. 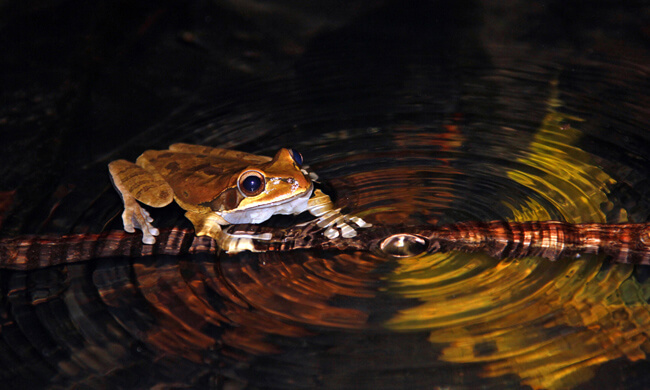 This little singing masked tree frog is calling to attract near-by mates. They are very common in CR. 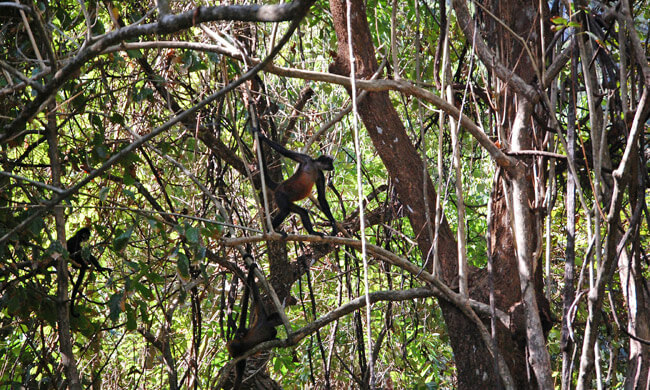 Spider monkey take the high road through the dense rainforest of the Corcovado National Park. 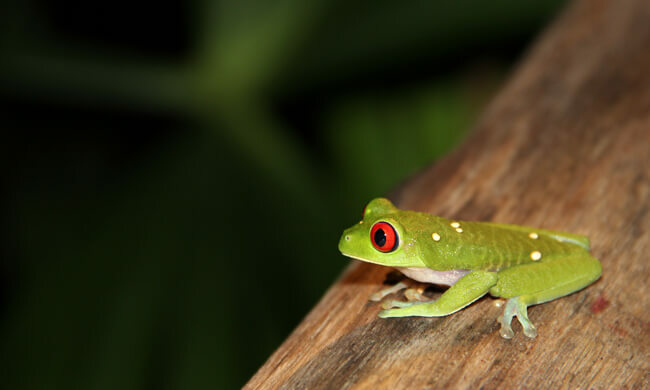 The famous Red-Eyed tree frog uses its colors to warn off pray, though it is only very slightly toxic. 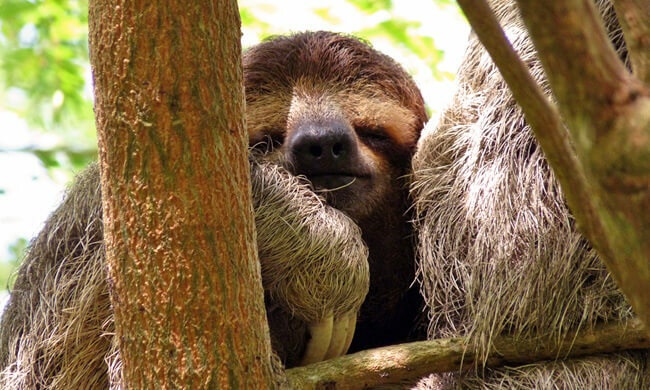 The famous three toed sloth at the Osa Penisula. This guy is a local resident at the Lapa Rios Lodge. 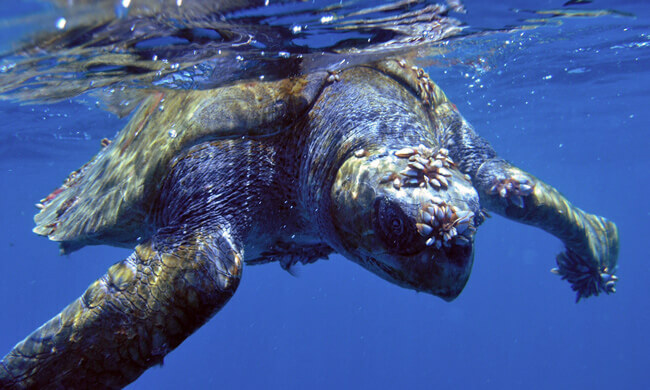 An Olive Ridley Sea turtle in the waters of the South Pacific. 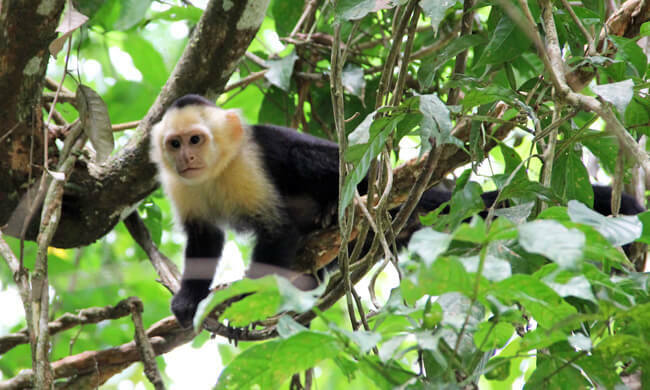 The famous White-faced Capuchin monkey are very common in and around Manuel Antonio. 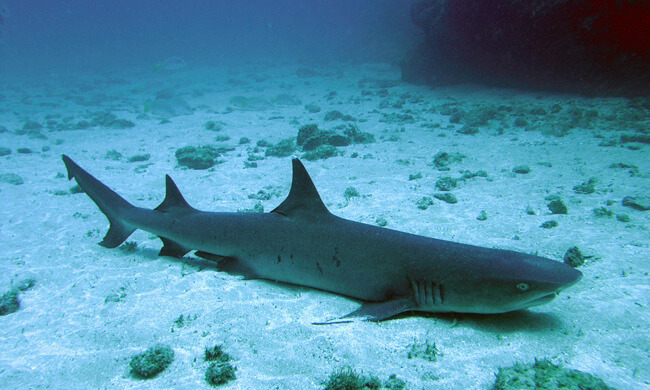 This White tip reef shark is actually sleeping. Sharks actually sleep with theirs eyes open. 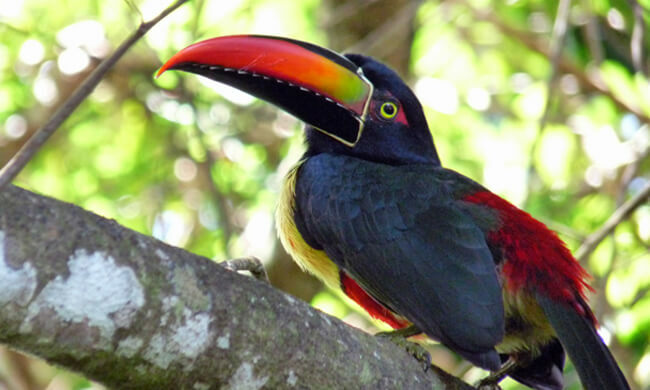 A typical Costa Rican toucan showing off its cool colors, it doesn’t get more Costa Rican than this guy!